While the information here is mainly from and about the USA, there are sections about other countries and most countries that we have checked are in even worse shape than the USA when it comes to water quality. Currently over 80,000 chemical compounds have been identified as potentially harmful contaminates in the waters of the world. We at MiraculeWater have developed technology to completely eliminate or significantly reduce the levels of over 98% of these contaminates while preserving and concentrating those found to be most desirable to consume and which promote health. No other water technology company that we know of in the world has developed this kind of water processor. As such we are considered by many experts in the water industry as the new leaders. These days, many people realize that tap water is not safe to drink. Californians, in fact, are the largest consumers of bottled water in the USA. But if you talk to people and ask them about this issue, most can only give a vague explanation of the problem. They know that the water is not "safe," but they don't know exactly what toxins are in it, or where they come from. The fact is that water contamination may be America's & the rest of the world's number one health problem. On the average over 70% of our body is water, and we need clean water every day to rejuvenate our system and flush out toxins. Water is the foundation of our health, and if the foundation is poor, the entire structure is jeopardized. There are thousands upon thousands of chemicals used in our society, with approximately 1,000 new ones being introduced each year. The Federal Safe Drinking Water Act regulates only 100 contaminants. How effective can that be? And congress is seeking right now to relax the regulations on water, not strengthen them. Many other countries are following suit. A shocking statistic is that in 1992 and 1993 alone there were over 230,000 violations of the Federal Safe Drinking Water Act by public water systems and the number has gone up every year since then. That's just for the few contaminants that are currently being regulated. The system has broken down and is unable to cope with the by-products of our industrialized society. The scary thing is that the bottled water that many of us have turned to as a supposed "safe alternative" may not be clean either. While bottled water may taste better, there are no assurances that it is free of contaminants, because what most people don't realize is this: bottled water is largely unregulated! Many bottled waters with names that include words such as "mountain," "spring" and "crystal clear" are actually tap water that has been filtered through a very simple (and inadequate) filtration system to remove enough chlorine so that it tastes better. (Since you can't taste, see or smell most contaminants, they know you can't tell the difference.) And we won't even discuss the exorbitant prices we pay for bottled water, a billion dollar industry. The sources of water contamination are myriad. The list includes industrial waste, the underground disposal of extremely hazardous toxins through injection wells, and leaking underground fuel tanks. Then there's the agricultural runoff of pesticides, the toxic runoff from streets and rooftops of chemicals used in paving and building materials, and the radioactive contamination of radium, a by-product of the decay of uranium used in nuclear power plants. One of the most talked about contaminants in our drinking water is chlorine, a necessary disinfectant used to kill harmful, disease-causing bacteria. Unfortunately, chlorine combines easily with other chemicals and naturally occurring organic material to form many carcinogenic substances. An example of this is trihalomethanes (THMs), which are associated with rectal, bladder and pancreatic cancers, and may cause damage to the nervous system. Chlorine has also been linked to heart attacks, strokes, premature senility and sexual impotency. When you think about it, the purpose of chlorine is to kill living organisms; as far as I know we are all living organisms! Even in small amounts, taken daily this poison builds up in our systems and causes harm. There is a simple test kit you can buy to check the amount of chlorine in your water. You squirt a few drops of a substance called orthotolidine (OTO) into the water, and it turns the water yellow to indicate the level of chlorine. You compare the tested water to the color bar, and if the water is too yellow, it's considered unsafe to swim in. Yet many times, if you use this test on your tap water, you'll find it at the top of the chart -- in other words, not safe to swim in, let alone drink! Now, we wouldn't go to our swimming pool and dip out some water to drink or cook our food in, would we? But many people are doing the equivalent of that without realizing it. Lead is another major contaminant. Today one in nine children under the age of six is said to have unacceptably high blood levels. I don't know about you, but none of the children I know sit around eating paint chips off walls. The lead is in the drinking water, and foods and beverages prepared with water. According to the Department of Health and Human Services, lead is the number one environmental threat to children. The EPA has actually concluded that there is no "safe" exposure to lead. It causes learning disabilities in children; delays normal physical and mental development in babies and toddlers; is linked to hypertension (high blood pressure) in adults; and can cause damage to the nervous system, kidneys and reproductive system. Lead is implicated in causing leukemia as well. Unfortunately, I must alarm you further and mention that in addition to chemical toxins in our water such as chlorine, lead, pesticides, etc., we also need to be concerned about microbiological threats. Traditional water purification measures are ineffective against many waterborne diseases, especially some virulent newcomers. The Centers for Disease Control (CDC) has actually issued several warnings in recent years to people who are aged or suffering from immune deficiency disorders not to drink tap water, because their bodies are not strong enough to fight off waterborne infections. In 1993 in Milwaukee there was an outbreak of cryptosporidium that made thousands ill. Giardia is another common threat; although it won't kill you, it can make you quite uncomfortable, causing nausea, diarrhea and other digestive disorders. In 1991 and 1992, 17 states reported outbreaks of disease associated with drinking water, affecting over 17,000 people. But the CDC believes that outbreaks of waterborne disease are probably under recognized and under reported, in part because reporting outbreaks is voluntary in the United States. One last thing to mention, which is very important, is that even if you are drinking clean water (bottled from some pristine spring in the mountains or filtered with a state-of-the-art filtration system), if you are showering in chlorinated water you still face health risks. When water is heated up and becomes steam in the shower, the chemicals evaporate out and are inhaled. The amount of chlorine absorbed by your body in just a 10 minute shower is the equivalent to your drinking two gallons of tap water! According to the American Journal of Public Health, "Skin absorption of contaminants has been underestimated and ingestion may not constitute the sole or even primary route of exposure." Since I began researching this issue, I have been completely shocked and horrified to discover all that I just detailed. (And, of course, there's much more.) The first step is in raising awareness on the issue. I would recommend that everyone explore the subject of water and re-evaluate what they are putting into their bodies and the bodies of their children. Luckily, there are products on the market that offer solutions, and in some areas the government is actually requiring all new homes to be built with a water filtration system from the start. As the world's water quality continues to become less suitable for consumption, the market demand for filtered water products will continue to climb. The number of pristine and healthy water sources in comparison to polluted and unhealthy water sources worldwide is decreasing daily and the vast majority of the world population is now either a customer, or potential customer of some water company promising safe water. The water business has become a multi-billion dollar industry where people have been found to be willing to pay five times more for water than they do for gasoline. Through research, we have determined that water quality is at an all-time low worldwide. Few surveys have found water anywhere upon our planet that is not contaminated in some unhealthy manner. This gives water companies the largest possible customer base due to the fact that it includes the total population of the world, and does not discriminate on the basis of age, occupation, nationality or any other factor. Industry Analysis has shown us that the water market is growing at an unprecedented rate while other markets are decreasing world wide. There are now many players in the market and new additions almost daily. The full potential of the market has yet to be realized as it is still growing and will continue to do so for many years to come. According to the USGS, only 0.3% of the water in the world is usable for humans. That figure is getting lower all the time. The figure by the USGS includes water that is polluted and unhealthy for humans to consume but does not cause immediate death. This figure also includes water that can be used to bathe in and may cause health problems by exposure to it. Accurate figures for unpolluted pristine water that promotes health are not available, but it is estimated to be less than 0.01% of the water in the world. When you hold up a glass of water it may look clean and pure but most often it contains contaminants too small to see with the naked eye. In 1995 EPA records reflect that some 20% [50 million ]of Americans were exposed to substandard drinking water. These figures were based upon exposure to potentially harmful levels of hazardous materials whenever they opened a faucet. Only 7 years later and the figures are doubled to 40% of Americans. This does not accurately reflect the fact that these are not pristine waters, only water that has been defined as a health hazard. Almost all water in the U.S. and Worldwide currently contains detectable levels of toxic substances. 1. What are the possible health effects of arsenic in drinking water? According to a 1999 study by the National Academy of Sciences, arsenic in drinking water causes bladder, lung and skin cancer, and may cause kidney and liver cancer. The study also found that arsenic harm's the central and peripheral nervous systems, as well as heart and blood vessels, and causes serious skin problems. It also may cause birth defects and reproductive problems. 2. Does it occur often? NRDC analyzed data compiled by the U.S. Environmental Protection Agency on arsenic in drinking water in 25 states. Our most conservative estimates based on the data indicate that more than 34 million Americans drink tap water supplied by systems containing average levels of arsenic that pose unacceptable cancer risks. We consider it likely that as many as 56 million people in those 25 states have been drinking water with arsenic at unsafe levels -- and that's just the 25 states that reported arsenic information to the EPA. Fluoride: Another Poison in Our Water? Dr. Phillip R. Sukel writes: "Adding fluoride to drinking water in the U.S. began on January 25, 1945 in Grand Rapids, Michigan. Its intended benefit was to reduce tooth decay on a mass scale in a cost effective manner...However, comparison studies between communities using Fluoride in drinking water and communities not using fluoride in drinking water found that tooth decay rates were the same...For any drug, chemical, or medical/dental procedure intended for human consumption or use, be it conventional or alternative, a person should ask two questions before consenting to its use: how effective is it... and what are the possible side effects." For this reason, MiraculeWater, Inc. has chosen to filter fluoride from the drinking water that our systems produce. There are many other avenues for the general population to obtain fluoride, if they so choose. Evidence exists that global concern of the population regarding fluoride is on the rise. For more information on the poisen fluoride Many countries have banned the use of fluoride. MiraculeWater Inc. manufactures an entirely mechanical unit. While there are a few other mechanical purification & enhancement units on the market today, none alter the pH, add the trace nutrient, alter the memory of the water to a pristine state, and concentrate & enhance the hidden beneficial components of water all at the same time. As such, MiraculeWater Inc. produces perhaps some of the most advanced water systems in the world. Experts that have studied the art of water filtration and treatment have named it as such. This is the next step in water purification & enhancement technology and differentiates us from all of our competitors. In this regard, we can expect competition to develop as companies try to reverse engineer OUR products and duplicate this technology. This is one of the reasons that we will continue to invest in Research and Development. The ability to continue to refine and develop our technology and to remain ahead of the competition will be a key factor in our success. Our company name will become known worldwide and word-of-mouth advertising will become our greatest asset, both here and abroad. "Markets for residential water treatment are very fragmented," research indicates. "In addition to larger, well-known manufacturers, the field is crowded with countless medium and small companies." While there may be a large variety of participants, there is not a great deal of variety in their products. "Many of the residential water treatment products are almost identical because the technology and components are well known and widely available," market research indicates. Consequently, manufacturers find it difficult to differentiate themselves from their competitors. Walk down a grocery aisle in any town in the US, Canada, Europe or Asia and there is a virtual tidal wave of bottled water brands. This $35 billion worldwide industry continues to grow as water quality concerns and fitness and health awareness increases. Bottled water sales in the U.S. rose 9.3% in 2000 to $5.7 billion, according to Beverage Marketing Corporation, a New York-based research and consulting firm. Plastic bottled water sales in 2000 reached about 1.7 billion gallons and the segment is expected to grow at a compound annual rate of about 15% over the next five years, according to Beverage Marketing. In 2000, fruit beverage volume grew 1.4%, beer 0.8%, carbonated soft drinks 0.5% and bottled water 9.9%. Within the bottled water business there are two distinct industries and segmentations. The biggest by volume is the five gallon or returnable container business. Companies like Arrowhead, Sparkletts and Hinckley & Schmitt are leaders in this field. Often associated with the office cooler, bottlers also use two-and-one-half as well as one gallon containers for supermarket distribution. This type of bottled water is sold as an alternative to tap water. Premium bottled waters, such as Evian, Vittel and Perrier, are sold as soft drink and alcohol alternatives. Packaging ranges from six ounces to two liters and from custom glass and PET plastic to aluminum cans. More and more bottled water producers have switched from glass to polycarbonate because of the increased acceptance of the perceived quality with this kind of packaging*. Bottled water is currently a strong competitor. However, most bottled water is of no better quality than tap water. (http://www.usatoday.com/news/health/2001-05-02-bottled-water.htm) The County of Los Angeles recently tested 57 different brands of Bottled water and found that 12 of these contained common toxins in excess of safe levels established by federal standards. Even more contained levels established by the State of California as prohibited due to their detrimental health effects. 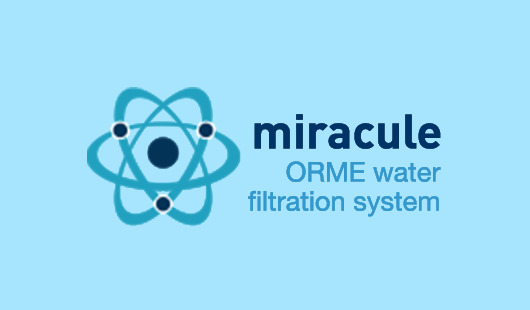 MiraculeWater, Inc.'s water purification systems produce water superior to bottled water, even when processing source water that contains many times higher levels of contaminants than the sources used by bottled water manufacturers. *The more alarming issue with bottled water is that after taking great pains to make sure the water is pure, it is then packaged into plastic bottles. Plastic bottles have become an accepted form of packaging, even though studies have shown that plastic containers leach high levels of toxic contaminants into the water that they contact. Educating the public in regard to this simple fact will will be a key factor to our success and gaining both residential and commercial customers from this market. Point-of-use faucet filtration and pitcher filtration have grown significantly in the past 7 years. Proctor and Gamble's "PUR" filter and Clorox's "Brita" filters and pitcher filter are the two leading competitors in most of the world. These units are inexpensive in comparison to Point-of-use water purification systems but vary dramatically in their ability to remove harmful chemicals from the water. For the most part, they simply make the water taste better. Brita touts that they are "The Market Leader in Portable Household Water Filtration" however, they only remove 75% of chlorine and none of the chlorine by-products. In addition, both Brita and PUR filters neglect to remove 5 of the most common contaminants found in public source water. To compete with one another, PUR has launched a new pitcher filtration unit, while Brita has launched a new faucet filtration unit. In 2001, Proctor and Gamble posted net sales in their Health Care business unit, which includes the PUR products, of $4.3 billion dollars and as of November 1, 2002 $4.9 billion dollars. While this includes PUR products and does not solely represent PUR products, their net sales have increased steadily and significantly over the past 5 years. In 2001, Clorox posted net sales of $2.2 billion dollars in their household products unit of which Brita is included. Brita was impacted by the decline in orders from KMart and volume gains for their newly introduced faucet filtration unit was offset by this, and distribution losses of their Brita "Fill-and-Go" sports bottle. We post this public statement by the Clorox people below to indicate the fact that Clorox does not appear to be planning to differentiate their filtration capabilities to filter more contaminants, but are looking to improve the look and taste of their product. As the leader in water filtration systems, Brita continued to innovate by improving its current systems, designing sleek new pitcher models and creating new ways to produce great-tasting Brita water. Brita also introduced a strong new product in the faucet-mount filter category. Competition and Buying Patterns of Point-of-use and Point-of-entry water systems. The two most popular and best known water purification methods currently available on the market are reverse osmosis and distillation. 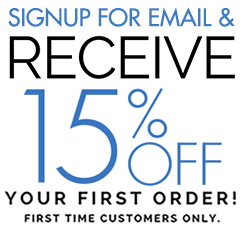 Reverse osmosis is by far the leader in sales. Independent marketing surveys project increases in both markets for several years to come. Neither of these processes alone can produce the quality of product that MiraculeWater Processors do. When it becomes known that MiraculeWater processors produce a product water several times purer in regards to harmful and potentially harmful contamines, than all other technologies, MiraculeWater sales will see no limits.